Takashi Murakami, born in Tokyo, Japan in 1962, is an internationally renowned contemporary Japanese artist. He works in fine arts media such as painting and sculpture, as well as what is conventionally considered commercial media – fashion, merchandise, and animation. Takashi Murakami is known for blurring the line between high and low arts. He coined the term superflat which describes both the aesthetic characteristics of the Japanese artistic tradition and the nature of post-war Japanese culture and society. Superflat is also used as a moniker to describe Murakami’s own artistic style and that of other Japanese artists he has influenced. 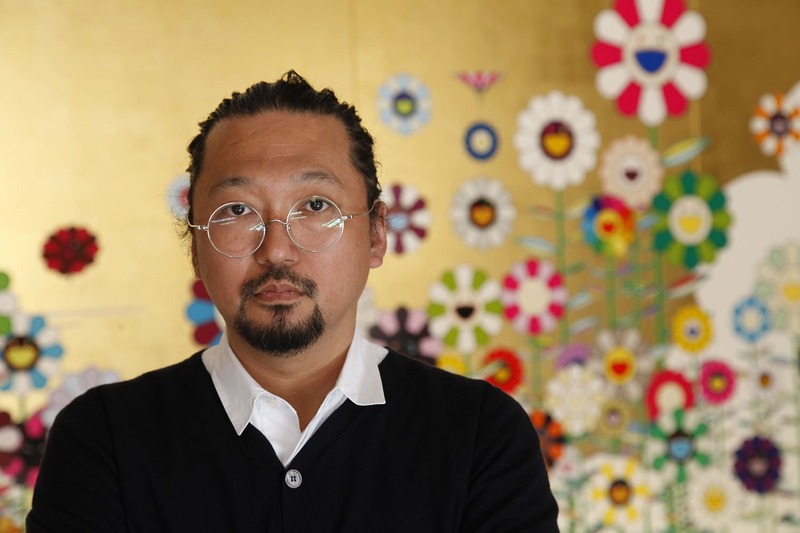 Takashi Murakami has exposed at several of the most important museums worldwide such as Museum of Contemporary Art in Tokyo, Fondation Cartier pour l’art contemporain in Paris, Qatar Museums Authority, Palazzo Reale in Milan, The Mori Art Museum in Tokyo. A comprehensive survey exhibition “© MURAKAMI” opened at Museum of Contemporary Art in Los Angeles in 2007 and traveled via New York further to Europe ending at Guggenheim Museum in Bilbao during 2008–09. His most recent institutional exhibition “Murakami-Ego,” whose centerpiece was an astonishing 100 meter painting inspired by the Tōhoku earthquake, took place in 2012 at the Al Riwaq Hall in Doha, Qatar. In 2011, Takashi Murakami organized the “New Day: Artists for Japan” international charity auction at Christie’s New York in response to the 2011 Tōhoku earthquake and tsunami.